Brandon W. Rothstein was raised in the Hudson Valley and saw no better place to practice law after his admission to the New York Bar. He received his Juris Doctorate from Touro Law School in 2014, where he concentrated his studies in matrimonial and family law. He earned his B.A. in Political Science from the State University of New York at Albany. Mr. Rothstein’s practice includes complex custody and child support disputes, divorce involving high net-worth equitable distribution, the negotiation of pre and post nuptial agreements, real estate transactions, and criminal matters. 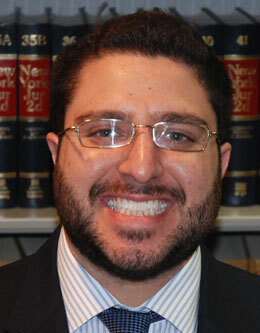 Mr. Rothstein is admitted to practice before the State Courts of both New York and New Jersey.